Before skincare, makeup was my first love. Now that I’ve been taking better care of my skin over the last few years, I no longer hide behind makeup. I use it to accentuate my features and achieve that ethereal my-skin-but-better look. My date night essentials do just that! I’ve been getting into skincare meets makeup products and I’m loving it. What I love most about this is the lit from within glow it gives my skin. It’s a nutrient rich, hydrating cream that blurs imperfections with a just barely dewy finish. The micro-pearls aren’t too in your face and I can wear this comfortably all over. I like knowing I can help my makeup last longer without that heavy feeling on my skin. I haven’t been using this long but I reach for it often. 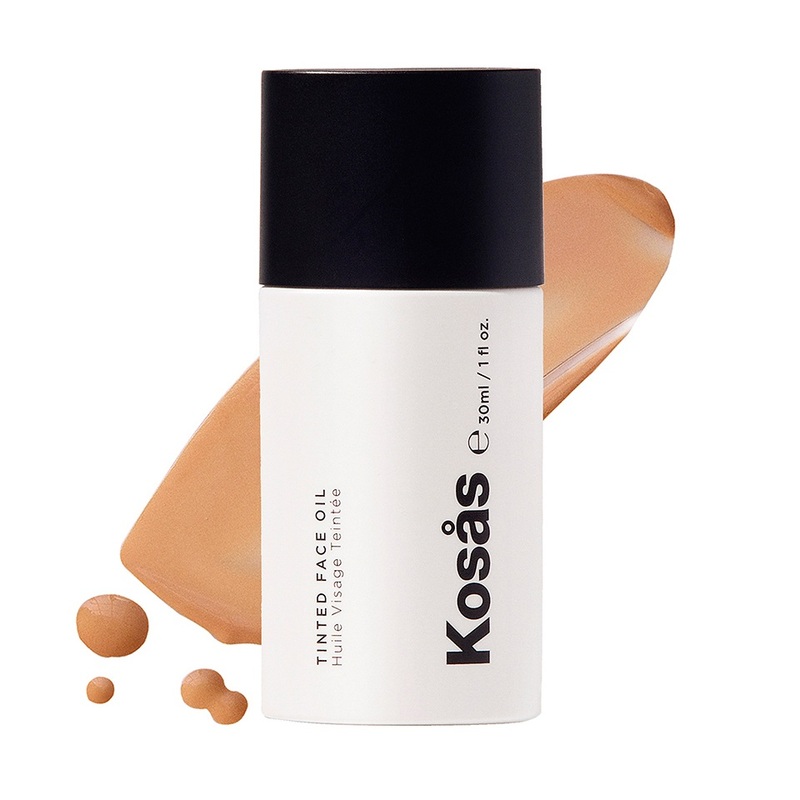 It’s a lightweight, medium coverage oil and buildable if more coverage is desired. My favourite way to apply has been with my fingers, so effortless! It blends beautifully and melts into my skin with a weightless perfection. I’m oily and acne prone and this jojoba and avocado oil based foundation hasn’t made me look greasy or aggravated my skin. I’m so glad I picked up this limited-edition beauty; it became a fast favourite of mine. Like my other most-loved palettes, it has a mix of matte, shimmer and glitter shades. Each of them is long-wearing, rich and buttery with minimal fallout. They blend like a dream and can be applied dry or wet for a more intense look. From playing around with this palette the glitter shades perform best when wet. I’m a palette mixer when doing my makeup but when using this I can rely on just one. Basically, champagne for your cheekbones. I fell in love with this the moment I swatched it in store. It creamy, pigmented without being jarring and doesn’t separate and get weird on my skin with wear time. This comes in only one shade but I can see it adding radiance across a range of skin tones. I’m an NC 44/45 depending on my always unintentional tan (I live in the Caribbean) for reference. The water-resistant eyeliner that will last all night even if I laugh till I cry. Everything I’ve tried from Fenty Beauty has performed so well! Warms my heart to see a fellow Bajan doing great things. I have a handful of liquid eyeliners and I reach for this one the most. The triangle shape of the body makes it easy to use and I get a rich, pigmented line with every stroke of the felt tip. This multipurpose palette is beautiful and I love that I can create a custom look by blending from a choice of six shimmery or matte shades. Each blush is richly pigmented, blends seamlessly and lasts all night. My fave combo: Yara and Sola. I prefer matte bronzers and I’m really into the super fine formula of ABH. It blends easily and adds a beautiful warmth to my face without looking too heavy. It’s insanely pigmented so a little goes a long way with this one. Don’t be afraid of it getting muddy; it never looks that way even when layered with contour. My favourite is Cappuccino, a deep golden brown, but I also wear a shade deeper, Mahogany, or use both! I only started using bullet lipsticks again this year and it’s because of Pat McGrath. I tend to go for liquid lipstick because I absolutely hate to reapply. Happy to report LuxeTrance lasts all night on me, even through three course meals and a glass or two of wine. I’ve been using the shade Lust Angeles the most, but they’re all beautiful. If you prefer matte I have a couple from the MatteTranceline and they’re gorgeous! I go for loose powders because I don’t fancy the finish of most pressed formulas. Charlotte Tilbury is the exception to the rule and it’s the one pressed setting powder I own. This was totally an Instagram made me do it purchase and I already have a backup. It’s super fine, doesn’t feel heavy and keeps shine at bay without drying out my skin. The way it gives a soft-focus effect always pleases me. I have an extensive makeup arsenal and only one setting spray. I’m on my third bottle and I haven’t seen the need to go back to any old loves; it’s perfect. 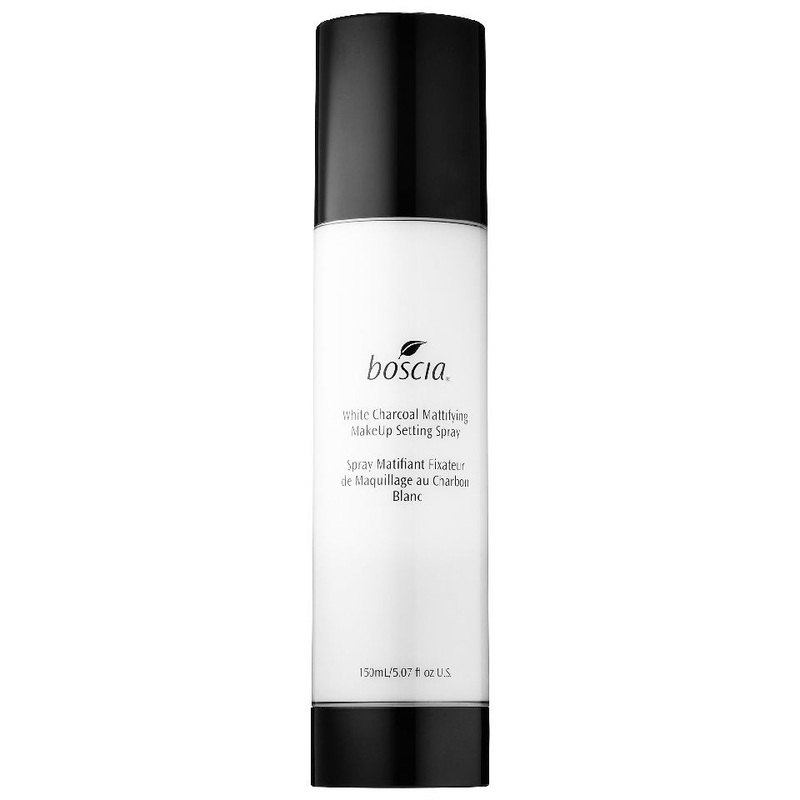 I can’t say I find it mattifying but it helps my makeup last for hours without drying me out or diminishing luminosity like other mattifying sprays I’ve tried. It’s ultra-fine, hydrating and antioxidant rich, another skincare meets makeup love of mine. Find me on Instagram @myglowguide for even more beauty finds. Tell me all about your faves for date night.